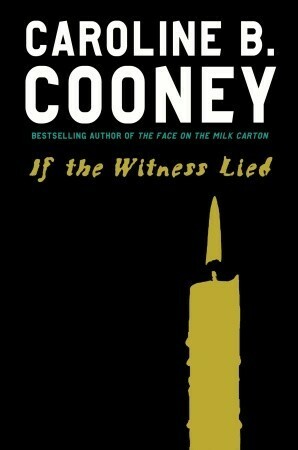 Cooney, C.B. (2009) If the witness lied. New York: Delacorte. It is billed as a YA thriller, but it’s got very little action. It has a strong, repeated message of trust God, trust adults, which might be appropriate for some readers. But compare it to The chocolate war, where Brother Leon was complicit in the corruption and violence — and thinking of the multiple Catholic / Indian school abuse cases — and trust God, trust adults is not the panacea Cooney presents here, so a librarian would need to be circumspect in recommending it. The thing I liked best about it was Tris, the almost-3-year-old little brother. Cooney perfectly captures the feel and often effort of parenting a child of that age. In a book where everything positive was done in the name of Tris, it’s imperative the character is believable, so full marks there. The Pollyanna-esque denouement, which essentially says adults will make all the bad things go away, is harder to swallow … there are some significant plot holes: If the local media is any good at all, they’re going to find and cover the story of the crazy killer “aunt” at least as thoroughly as they covered the other stories, so I don’t understand how calling in grandma and grandpa is going to shield little Tris from the Evil TV People. And the TV people were entirely two-dimensional characters. Overall not a great book, but appropriate for youths looking for external support with issues. Author facts: Born in Geneva, New York, Cooney now lives in South Carolina. She has three children and four grandchildren. She has attended “several” colleges but has so far managed to avoid graduation. Next Post War … what is it good for?